Cope Local 96 – Together We Are Stronger! Continue reading "National Day of Mourning"
Continue reading "Asian Heritage Month"
Continue reading "Sexual Assault Awareness Month"
Continue reading "International Day of the Midwife"
Continue reading "International Day Against Homophobia, Transphobia and Biphobia"
Continue reading "Canada: Victoria Day (Regional)"
Victoria Day is a Canadian statutory holiday celebrated on the Monday preceding May 25 in every province and territory. It honours Queen Victoria’s birthday. Our history is colourful! We were born in 1906 in Indianapolis, USA as Charter 1 and received the first clerical charter by the American Federation of Labor. It was not until the Wagner Act in 1955 that organizing really gained momentum. In 1965 our union changed its name to Office and Professional Employees International Union (OPEIU). Since we left OPEIU in 2004 and became a Canadian Union, we have continued to grow all across Canada with our national office in Vancouver. Our local represents members from 6 different sectors throughout Thunder Bay. I have been a proud member of this Union for 15 years now and as your new president I am ready to help build and strengthen our Union. STEWARDS NEEDED, WE NEED YOU ! “An employer has its supervisors and managers. Policy decisions in an organization are usually made by higher levels of management in the organization. Information about what is happening in the workplace is relayed to upper management by supervisors and managers. 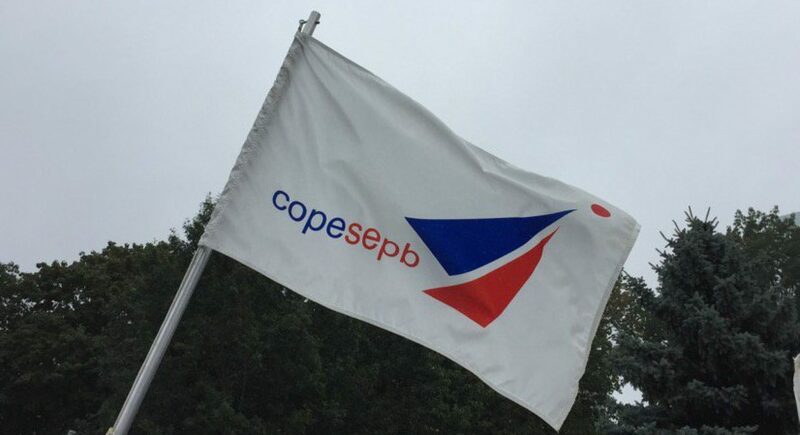 COPE Local 96 is a composite union representing over 400 members at Thunder Bay Regional Health Sciences Centre, Lakehead University, Northern Credit Union, office staffs of Construction & Allied Workers Local 607, Carpenters’ & Joiners Local 1669 and CUPE Local 87. Our members are valued employees working in a variety of positions across these employers. You are the union and together we can make a difference! We elect members to sit on the Executive Board who are entrusted to take care of the day to day business of the Local and to represent you as a union employee. The Executive Board consists of the President, Executive Vice-President, Recording Secretary, Treasurer, Sargent-at-Arms, Vice-President TBRHSC, Vice-President LU, Bargaining Chair NCU. All positions are for held for a two-year term. Our general union meetings are held quarterly on the 3rd Tuesday of the month (September, every second November for election of officers, March, June). Unit meetings are also held quarterly which are specific to your workplace. Special meetings can be called at any time if information needs to be shared or a vote is required. We urge you to participate and have your voice heard. Together we are stronger! If you are interested in becoming a steward, education is available. Commitment to helping your fellow union members is required. Through unions, working people have a collective voice at work and an avenue to equality, fair treatment and economic security. Despite decades of research, education, lobbying and activism, violence against women and girls continues to be widely tolerated in Canada. In recent years, Canada has seen dramatic cuts in funding to organizations that support victims of violence or who advocate for better policies and protections on their behalf. We have seen little commitment or effort by governments to eradicate violence against women. As part of the ongoing struggle to end violence against women, CRIAW/ICREF is announcing the launch of its latest publication – a comprehensive, accessible, free fact sheet on violence against women in Canada. The fact sheet is a compilation of the most recent research and statistics on women’s experience of violence, the forms it takes and the varied impact on women. Visit the CRIAW/ICREF website or download the Fact sheet. The most up-to-date scientific evidence shows there is no such thing as a safe or healthy tan, whether under the sun or in a tanning bed. It is important to take steps to avoid overexposure to ultraviolet radiation. Exposure to ultraviolet A and B radiation can cause sunburn, damage to your eyes and other health effects, including an increased risk of skin cancer. Health Canada does not recommend the use of tanning equipment (especially for people under the age of 18). However, if you choose to sun tan or to use tanning beds or lamps, you should be aware of the health risks so you can take steps to protect yourself.